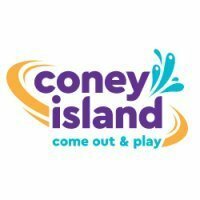 There's an event at Kings Island the day before but on the 16th ACE will be having an event at Coney Island! Will any other KIC members be there? We get ERT on Python, the Top Spin, and Rock-O-Planes, buffet, a mini golf tournament, ride takeovers, and more! Who else plans to be there? That's Coney Island of Ohio, of course. I will be there. But not to directly partake in the event. I will be managing the operators of the mechanical devices that people will be riding on. The event is in danger of being cancelled due to attendance. If you're on the fence, sign up now! Is this event still a go? Fall O Ween is a fun time to visit Coney. There is a hay ride that takes you down by the river and is a fun little extra attraction. Also, there is a Trick Or Treat trail for youngsters.